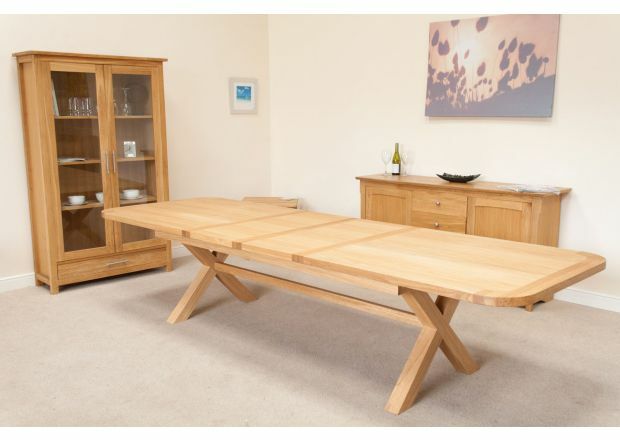 Shopping for a large oak dining table for your kitchen or dining room to seat 10 or more people? 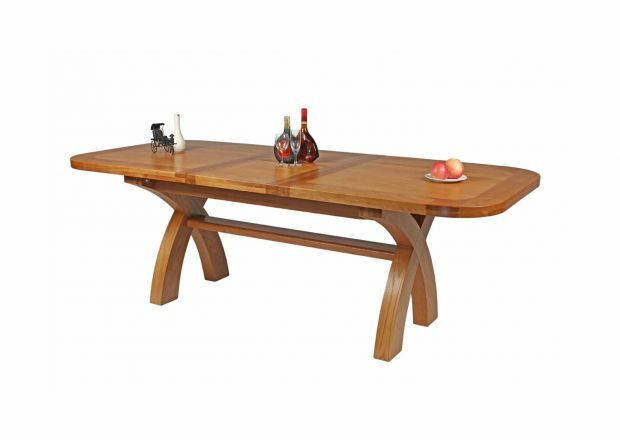 Top Furniture specialises in large oak dining tables made from American and European oak. Ideal for Christmas or Easter family occasions. 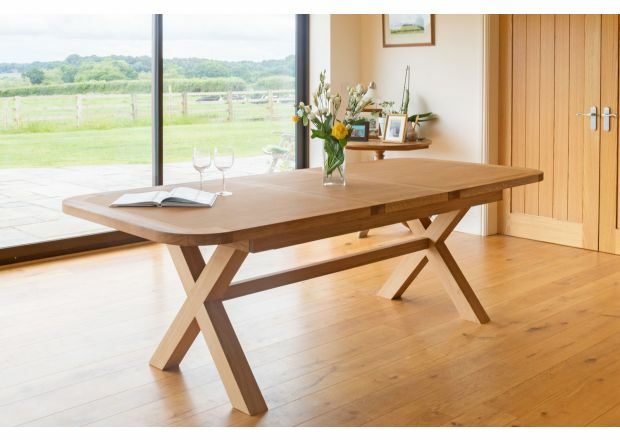 Browse our collection of 10+ seater oak dining tables and choose from one of our single or double extending designs, or maybe one of our extra wide designs. Looking for matching chairs? 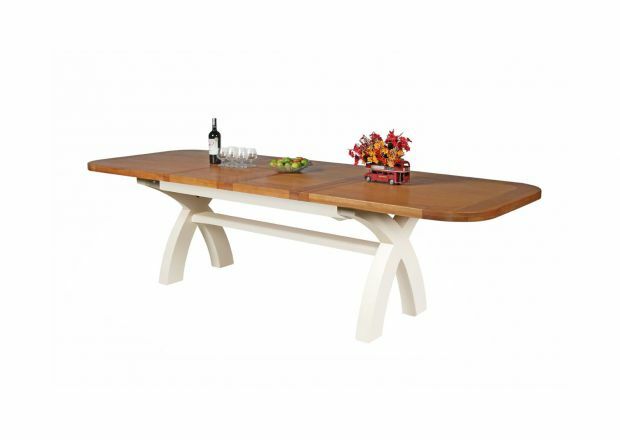 Mix and match any table with any chair and get the best possible price. 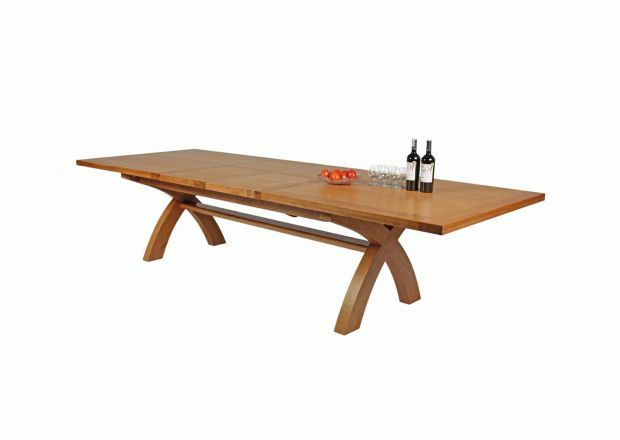 Searching for a large oak dining table to seat 10 or more people? 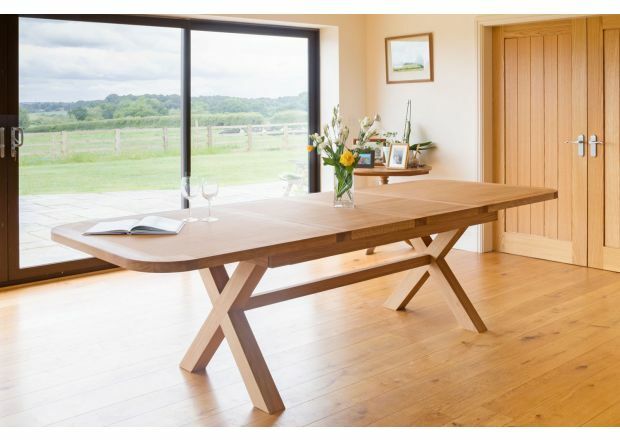 We are one of the few UK furniture retailers that specialise in large oak dining tables made from oak. Nobody offers more choice than us and because we order direct from the factories that make them in big volumes several times a year we can pass on much bigger savings to our customers. 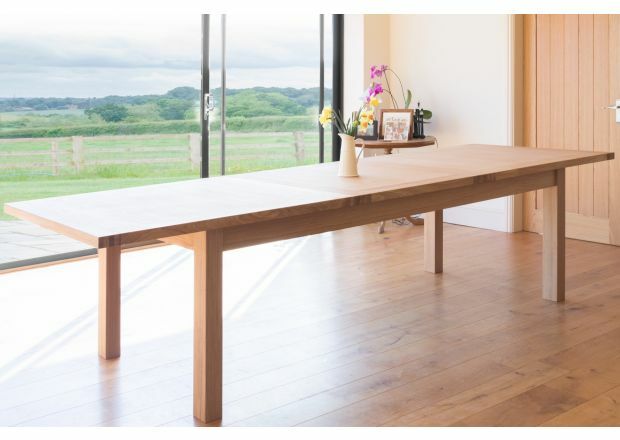 Most of our 10+ seater oak dining tables come with one or two extensions which allows them to fold down when the largest size isn't needed for big family occasions and dinner parties. Fast free delivery to most UK postcodes. 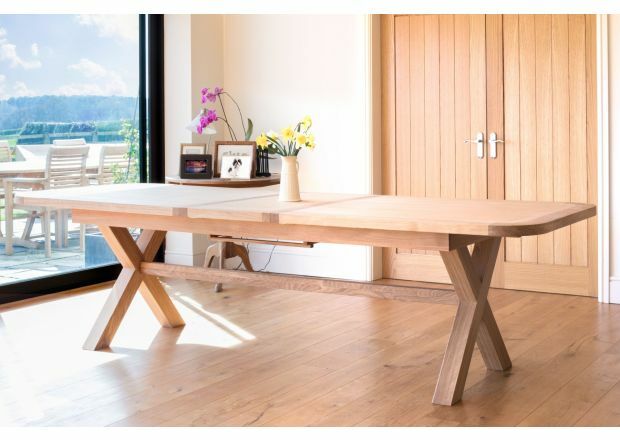 Made from sustainable timbers and we enforce a very strict quality control process where 100% of our products are checked individually before shipping to us. Huge savings compared to high street prices. 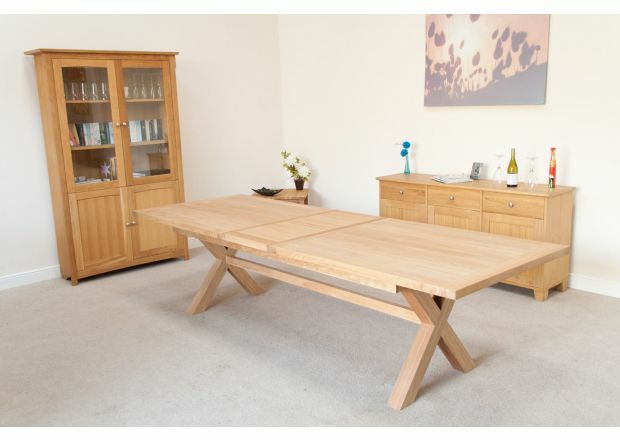 If your home has a generously sized dining room, then one of our large oak dining tables will help you to create an impressive space when wining and dining with family and friends. 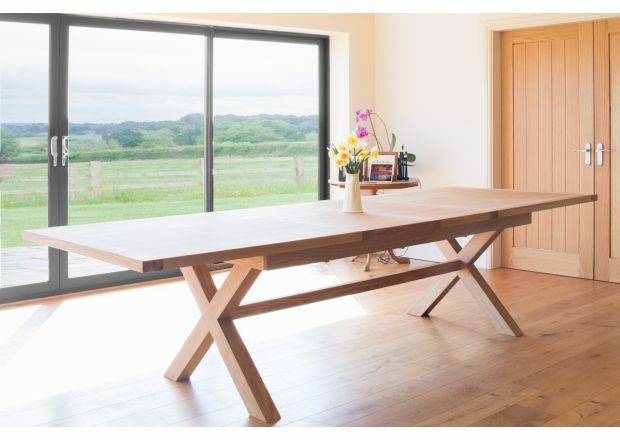 The ideal solution for those with large families as well as those who hold dinner parties at the weekends, these are the largest tables in our range at Top Furniture and will seat 10+ people. 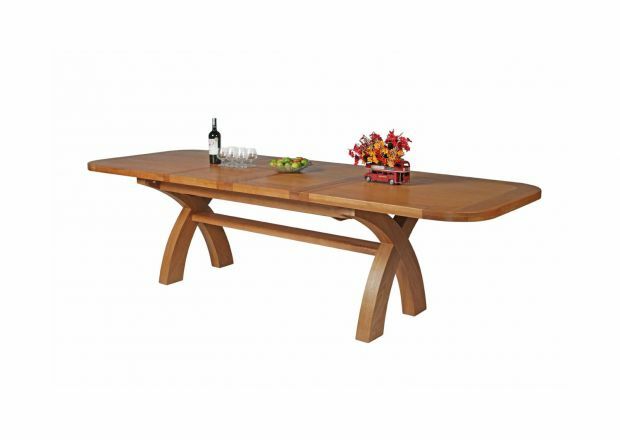 Depending on your dining style the tables look fantastic dressed up for more formal dinners, but also give the ideal setting for casual family dining through the week. 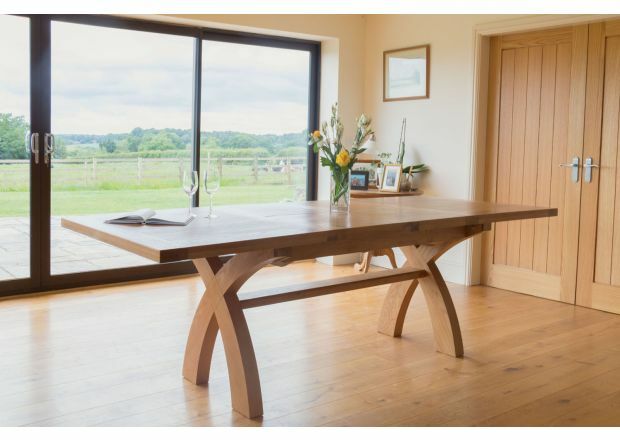 Contemporary and traditionally styled homes will all find large oak dining tables to complement their interiors - the tables are designed to be versatile and timeless in their looks, so will lend themselves beautifully to your home. Your chair choice will affect the overall look in your dining room. For example, our chairs upholstered in leather tend to look more on the formal side, whereas our slatted and cross back chairs are the ideal options for a cosy, country look. 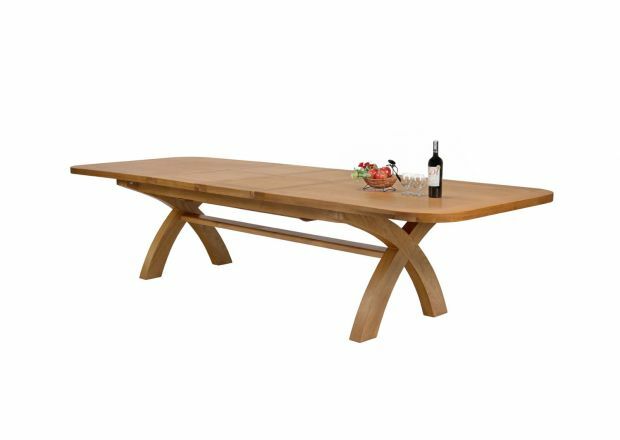 It is also possible to pair our large oak dining tables with benches for a relaxed and informal look. 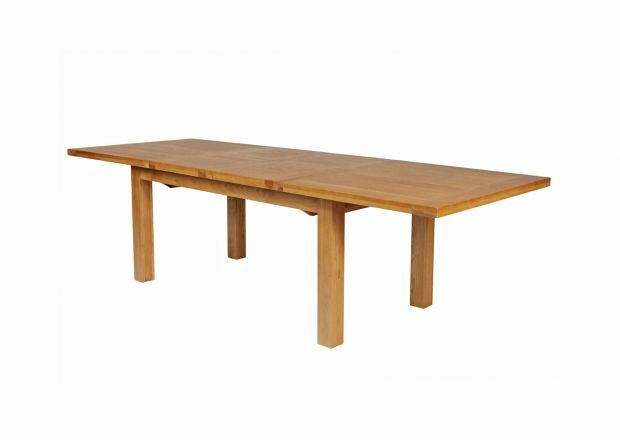 Choosing your new 10 seater oak dining tables from our range is a simple process. First we’d recommend measuring the space where you would like to place your table. If possible, you should try placing it away from strong direct sunlight and radiators as this will help your new tables to stay looking their best as long as possible. 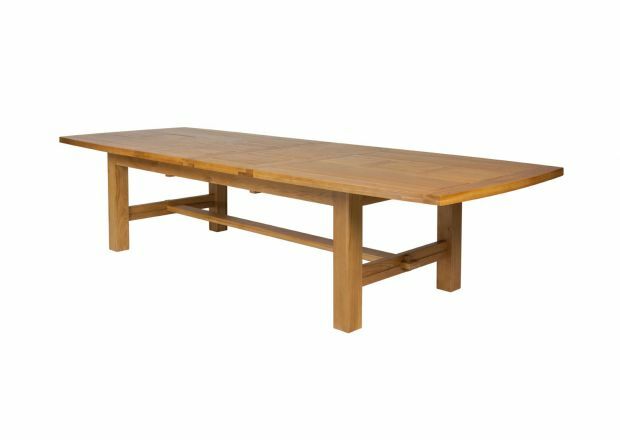 Once you have an idea of the size of table that you are looking for, browse our 10 seater oak dining tables online. 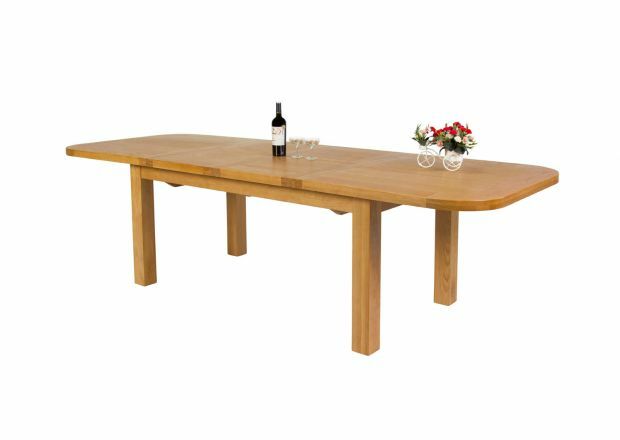 If you need some flexibility in the size of large oak dining table you are looking for, then consider one of our extending tables. These are ideal for occasional entertaining, or when you simply need a bit more space on your tabletop. 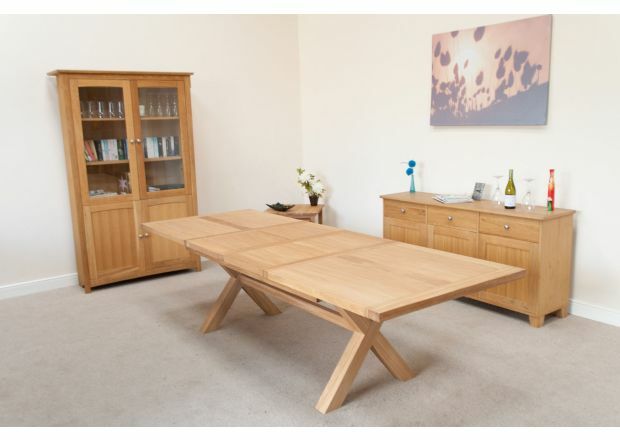 For more information on any of our 10 seater oak dining tables, please do not hesitate to get in touch with our team. 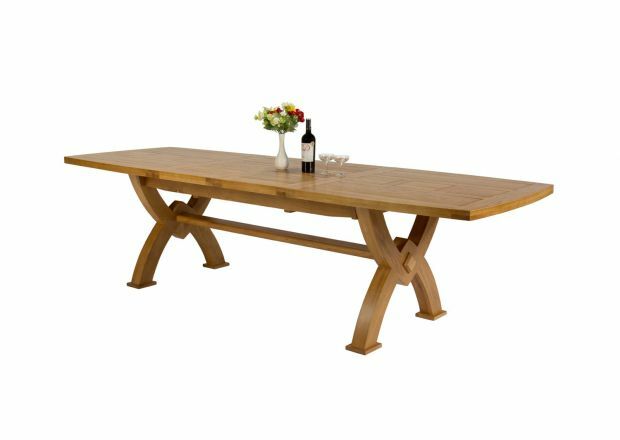 They are always happy to help and can offer you any help and advice you may need when choosing your new solid oak dining tables. As our tables are constructed from solid natural oak, each one will feature a unique grain pattern; the grain is dense, giving the wood strength as well as good looks.